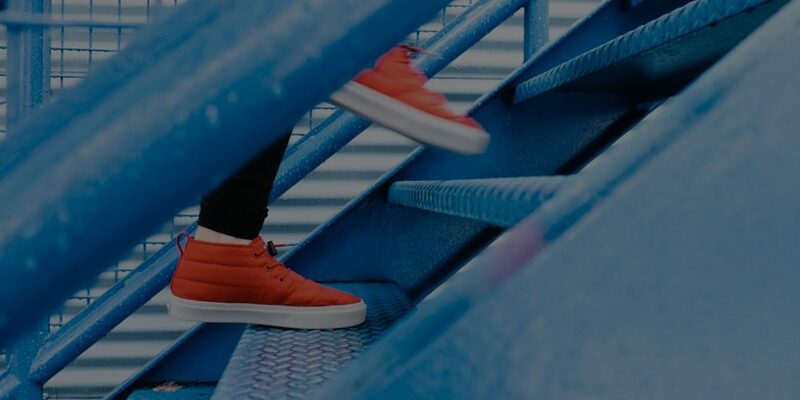 Want to Double Your Performance? Give me a call today to schedule your free consultation. How well do you understand the connection between your mind and body? Let’s cut to the chase. Less fat/more muscle is easily achieved via nutrition and exercise. I will get you there quick! But Performance101 takes things a step further, and really gets you firing on all cylinders in life. Unless you’re a robot, you likely have faulty movement patterns that are holding you back from achieving a high level of physical performance. You may also be stressed, fatigued, and struggling to find the breakthrough’s you want in life. We will identify your muscular imbalances, and compensations that are causing joint pain, biomechanical inefficiencies and discomfort. Right away things start to move a bit easier. 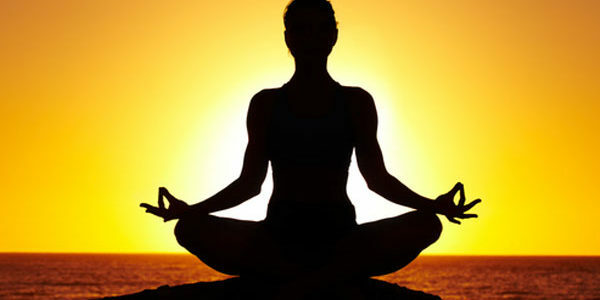 Add-in a meditation regime, and relaxation techniques, and true transformation starts to appear. I help all types of clients at all ages, whether elderly, middle-aged, or competitive in the sport. I am a human movement and athletic performance specialist. 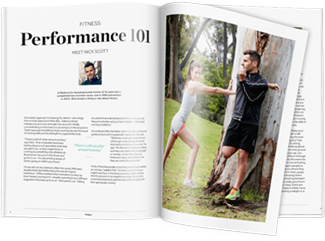 Performance 101 is the brainchild of Nick Scott, a Melbourne based movement specialist and meditation teacher who has completed two Ironman races and endless number of triathlons and marathons. 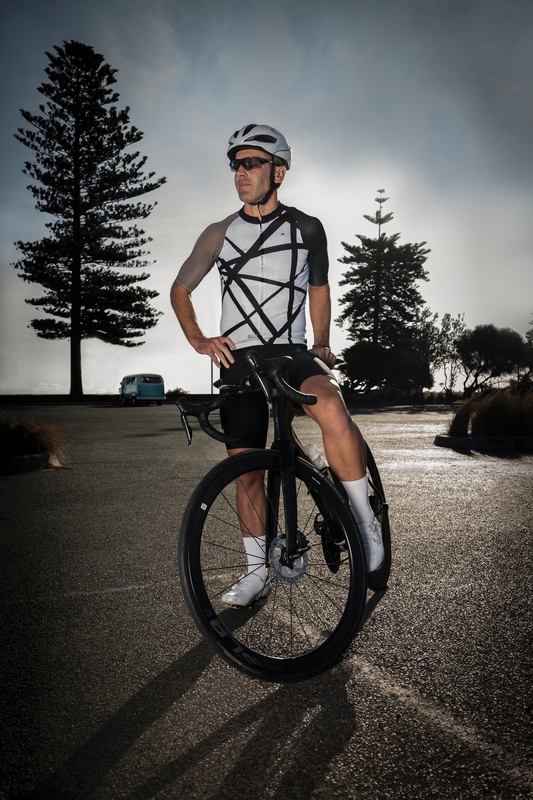 Nick has also led the Brighton 2XU run club for the last 3 years and more recently can add Australian Unity fitness guy to his resume. Nick was recently announced as the Australian Unity’ fitness guy. It has been an exciting journey so far. We offer a wide range of training options and best of all, we can come to you! Are you ready to chat? We are. 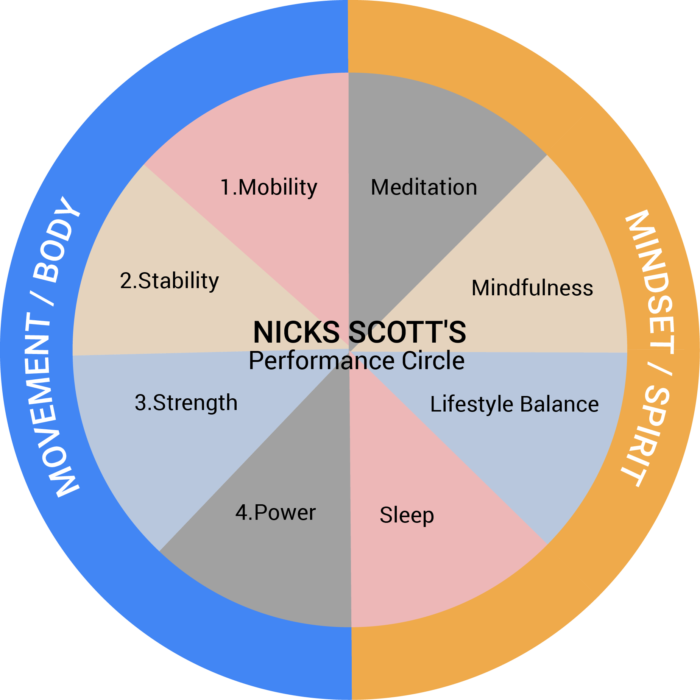 The performance circle outlines our mental and physical conditioning philosophy! I loved running but for years I put up with knee and hip niggles â€“ putting it down to wear and tear and dare I say it old age. After working with Nick I have been able to run without pain. He really is a master at his craft. 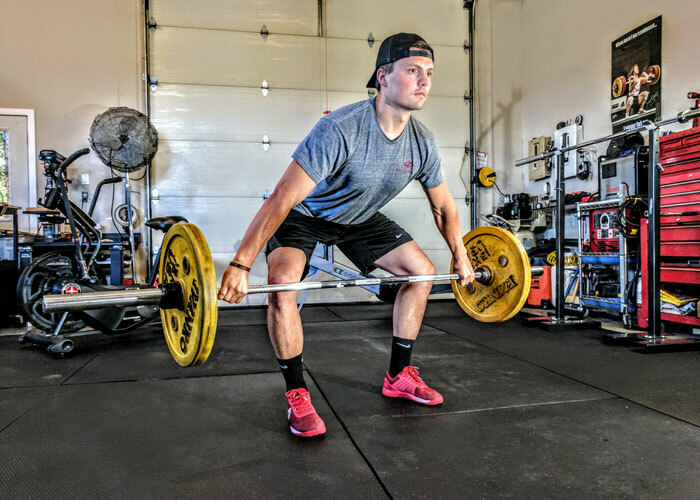 I have been working with Nick on correcting muscular imbalances and triathlon specific training for approximately 3 years. Nick was able to identify exactly where I needed to improve with my movement efficiency and performance. I am now achieving goals I never thought I was capable of and remaining injury free! I thought that getting rid of my hip issues would be impossible. I can average 100km of running a week so I always thought injuries could not be avoided. Gladly Nick proved me wrong. After just a few weeks I noticed immediate improvements. Running a marathon has always been on my bucket list. Being a working mum with 3 kids doesn’t allow for a lot of time to myself. Thankfully Nick has always carefully planned and catered for my busy lifestyle and maximised my training time accordingly. In October last year I completed my first marathon 7 minutes faster than my goal time! Couldn’t have done it without you Nick. I am now training towards the New York Marathon. If it's for weight loss there are specific exercises that will address these goals whilst addressing YOUR specific muscular imbalances at the same time. Boost Your Performance Today! Sign Up to The Newsletter!